3-12-18 Should You Prepare for Blockchains and Cryptocurrencies in the Mortgage Industry? 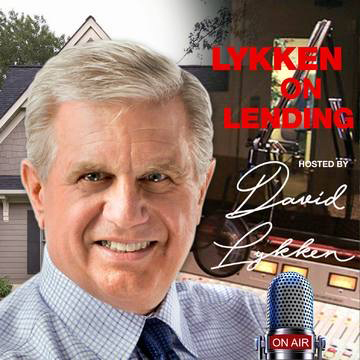 In this episode of Lykken On Lending, David interviews Debbie Hoffman, co-founder and CEO of Symmetry Blockchain Advisors, Inc.
You may have heard that digital currency has been sky-rocketing lately, but what will that mean for the mortgage industry? Is there a position you should consider for preparing for this to come to the real estate and mortgage industry? Debbie Hoffman is Co-Founder & CEO of Symmetry Blockchain Advisors, Inc. where she works with clients in their blockchain development and initial coin offerings utilizing her expertise in law, finance, blockchain, cryptocurrency and technology innovation. Debbie serves as the 2017-18 Chairperson of the Association of Corporate Counsel Financial Services Committee. Debbie was previously the Chief Legal Officer of Digital Risk, LLC, where she was responsible for the regulatory compliance and legal functions of the company. She spent a decade of her career as a real estate finance attorney at the law firm of Thacher Proffitt & Wood in New York. Debbie has also been a professor at the Florida A&M University College of Law and the University of Central Florida. In 2017, Debbie was named as a Top General Counsel by the First Chair Awards, received an Honorable Mention as a Leading Lady in the MReport’s Women in Housing issue and was named as a 2017 “Hot 100” in Mortgage Professional America. She was selected as a 2016 and 2014 Woman of Influence by Housingwire Magazine and was awarded a 2015 Stevie® Award, Woman of the Year and a 2014 Stevie® Award, Female Executive. She is a frequent author in industry periodicals, a speaker at conferences and events, as well as a guest lecturer at universities of higher education. 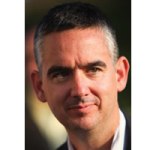 Listen: How do Blockchains Expand or Contract?